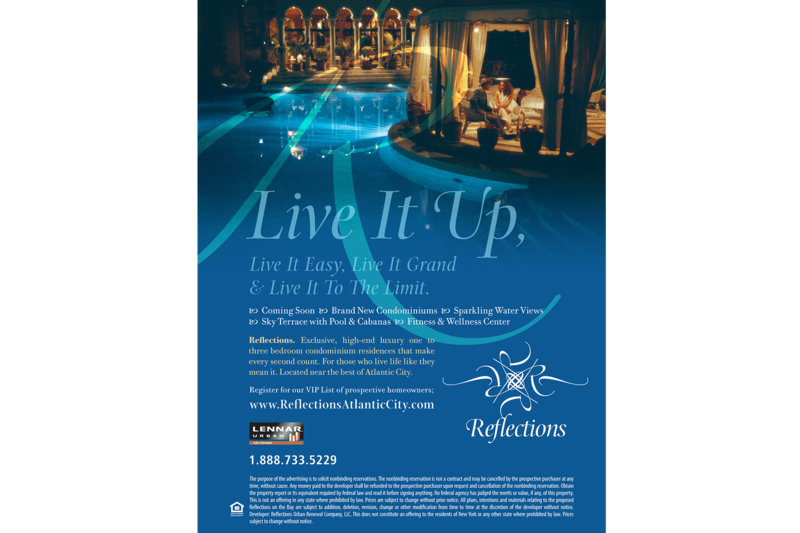 Reflections - Marketing Specifics, Inc. 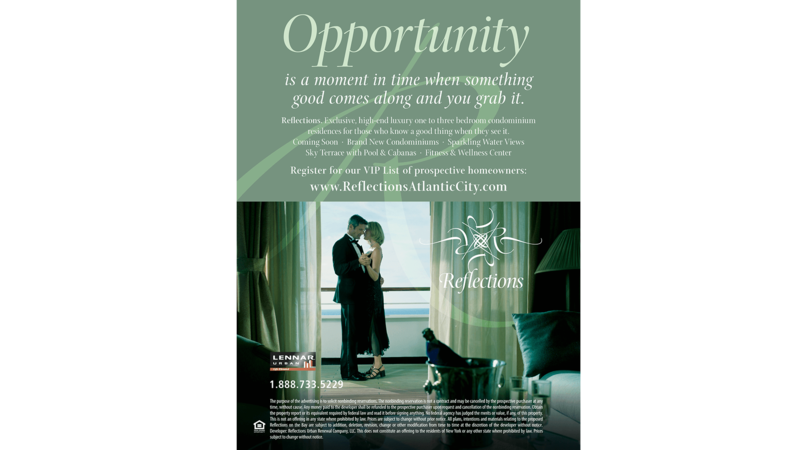 This teaser ad campaign was launched to introduce Reflections – a luxury, high-end condo community in Atlantic City New Jersey (the first condo product in the area of 16 years!) to the target buyer – a young, affluent, urban New York or New Jersey buyer. The goal was to entice potential buyers to visit the website for more information and register for VIP communications and updates on the community.